While in Bohemia, I found myself looking for a Michelin-starred restaurant that would cater to me (non dairy vegan, who only eats ethical eggs and oysters). And low and behold, I came across The Field, a 'Free Range Restaurant' that offers farm to table dishes with both local dishes, traditional Czech ingredients & even wine from nearby vineyards. PLEASE NOTE: The Field will HAPPILY accommodate VEGANS & VEGETARIANS but also serves meat & seafood. For my visit to The Field resturant in Praha, I choose to wear my new favorite jacket by JUICY COUTURE that I purchased secondhand from THE REAL REAL, a dress by FIG CLOTHING, organic vegan bamboo tights by WE ARE THOUGHT, and platform boots by BELSTAFF purchased secondhand from THE REAL REAL. 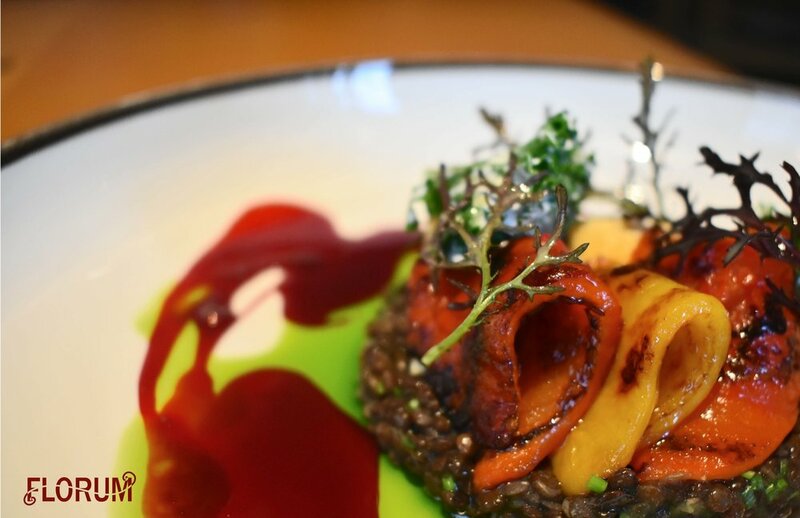 I read alot about Michelin-rated & Michelin-starred restaurants in Prague via the Michelin Guide and wanted to be sure that I found one that would not only cater to vegan and vegetarians, but also offer it in a sustainable and ethical way. Let me tell you that the Executive Chef Radek Kašpárek does just this with the seasonal changing menu at The Field. The second and main course was a smoked tofu & grain creation, topped with root vegetables and decorated with olive oil and beet. 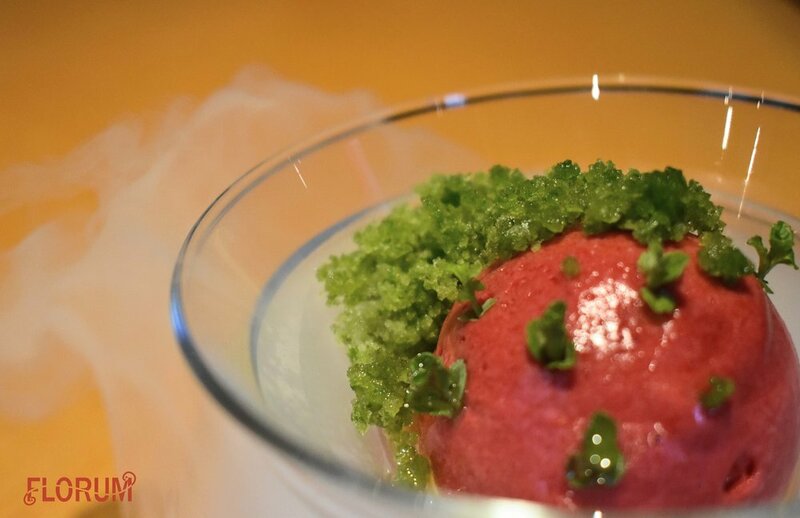 For the final course (aka dessert) I was presented with smoking raspberry sorbet. To be honest I was actually surprised that I was able to have a dessert here, as not many resturants offer a dairy-free vegan dessert. When I comes to eating, I am a BREAD ADDICT (seriously)! All I can say is that The Field did not disappoint and the accompiant to the fresh bread was just as delicious (included dairy-free butter and an avocado spread)! Located right on the corner of U Milosrdných, the 'Free Range Dining' The Field is easy to spot in this quiet neighborhood away from the hustle and bustle of the tourist areas. If you are still looking for more information on The Field Restaurant in Prague, I suggest checking out this article by Taste of Prague from a preview in 2015. What I love seeing about reviews that are older, is that the resturant still has the same quality, taste, and creativty (you'll also notice just how different the dishes look). 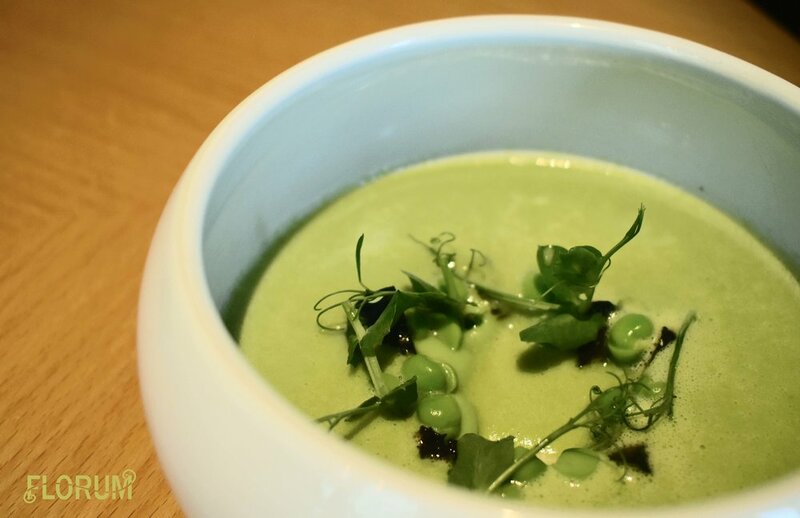 One thing to keep in mind when reading this other review on the Michelin-starred restaurant, is that I specifically asked for a vegan meal (via email) when I made my reservation 24 hours in advance.